Divide the classroom into two teams. Pop the balloon with the right answer. The team with the most points win. A great way to practise multiplication. 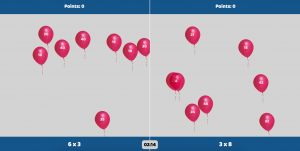 This entry was posted in Maths, Multiplication and tagged balloon, math, maths, multiplication by smart. Bookmark the permalink.